Heavy downpours of rain are set to continue through the weekend, according to the Met Office. Areas of higher ground in the UK could see up to 2.8 inches of rainfall, potentially causing localised flooding in places. The news comes as no surprise to us here at DPR – Leeds and Yorkshire have experienced large spells of rain ever since the remnants of Hurricane Gonzalo passed through the region at the latter end of October. As we are expecting a particularly wet and windy winter this year, we would like to remind you to keep checking your roof for any signs of damage. Although they’re designed to be exposed to all weather conditions, wear and tear has to be taken into account when it comes to roofing. The key to saving money on future repairs is spotting any issues early on – not only could you save your home contents from suffering water damage, but you could also save yourself a fortune. 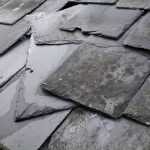 Slipped and cracked tiles are two of the most common problems that our customers encounter during periods of poor weather, especially those with tiled or slated roofs. Sagging can also be a by-product of rain, often occurring if you have a poorly constructed flat roof. 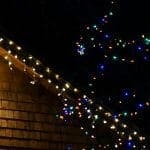 The warning signs above must be taken seriously all-year round, but the risk of your property encountering a leak is heightened at the current time of year. As always, we at DPR always remind anyone reading this to take great care should they make the decision to inspect their own roof. Only do so if you feel completely safe, and have someone available to assist you at all times. Failing that, why not bring in the professionals? We are accredited and approved by many of the industries recognised and leading bodies, along with having over 20 years of roofing experience in Leeds. If you have an issue with your roof or want any more information or advice, give us a call today on 0113 347 0918.